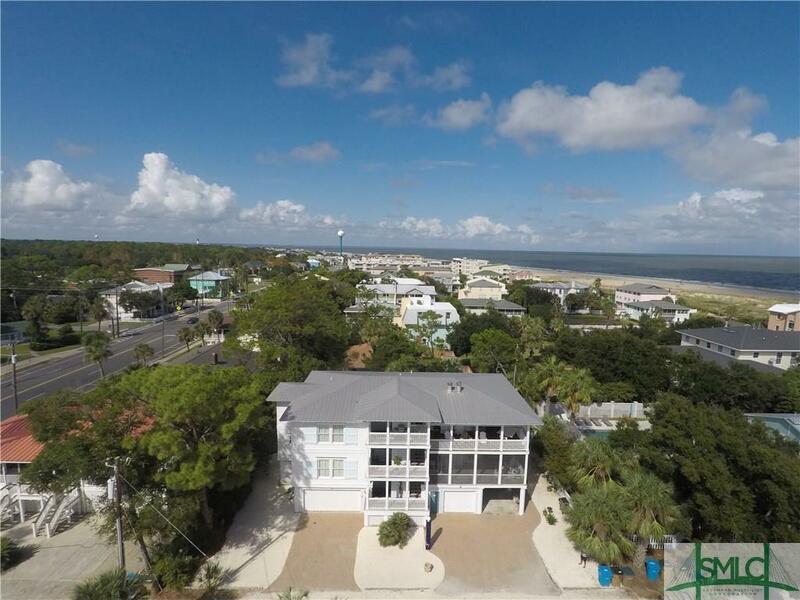 NEW PRICE REDUCTION!!! 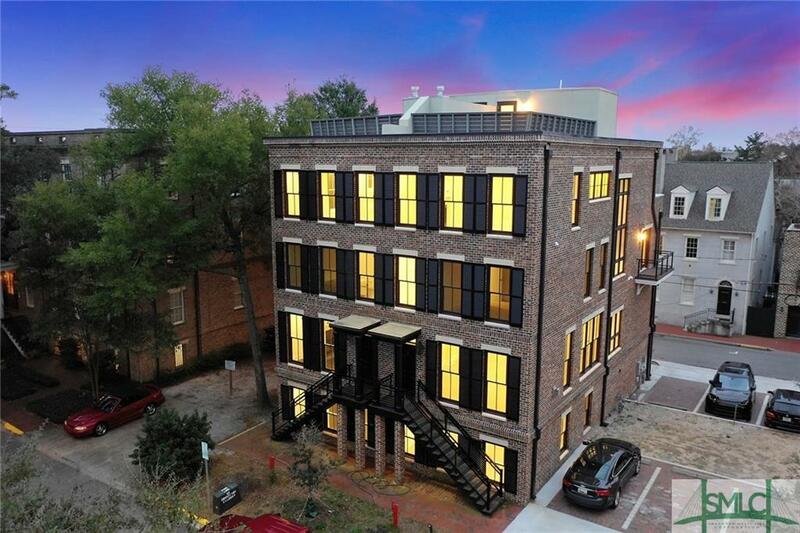 Welcome to Modern Luxury Living in the Heart of Savannah's Historic Landmark District! 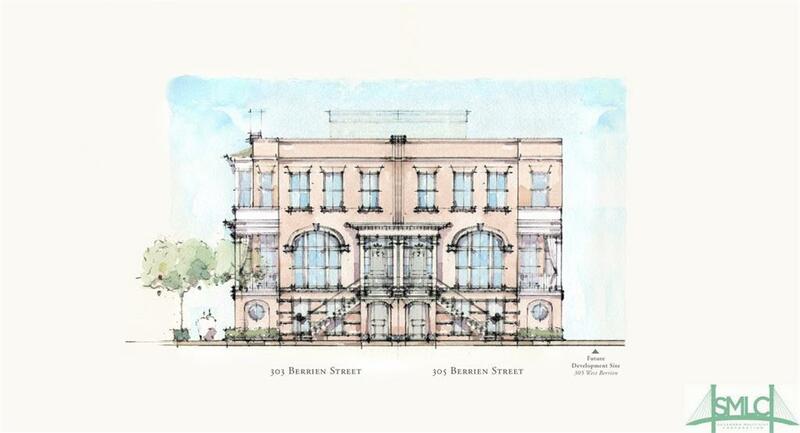 This Four Story Luxury Townhome with 6 Bedroom/3.5 bathrooms, has all the modern finishes a family could ask for. 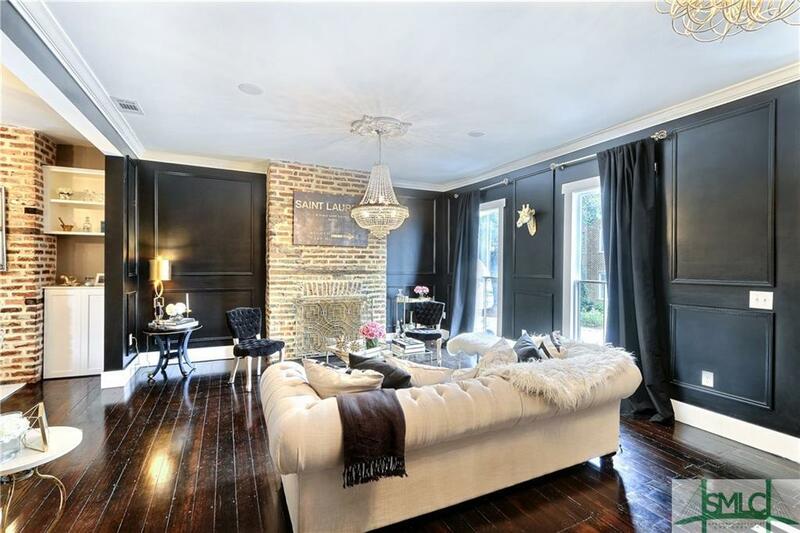 The main areas of the home boasts solid dark hardwood floors throughout, which offer a true rich elegance. 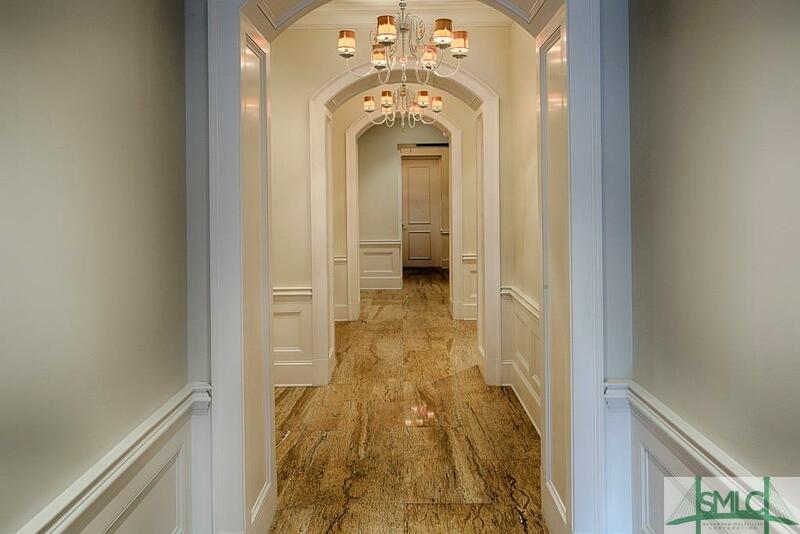 Immaculate finishes include Carrera Marble counter tops in the kitchen and master bath en-suite, with marble tile adorning the master shower and bathroom floors. The gourmet kitchen, is a chefs dream with a large island for gatherings, beautiful SS farm sink and highly coveted SS Viking Appliances. 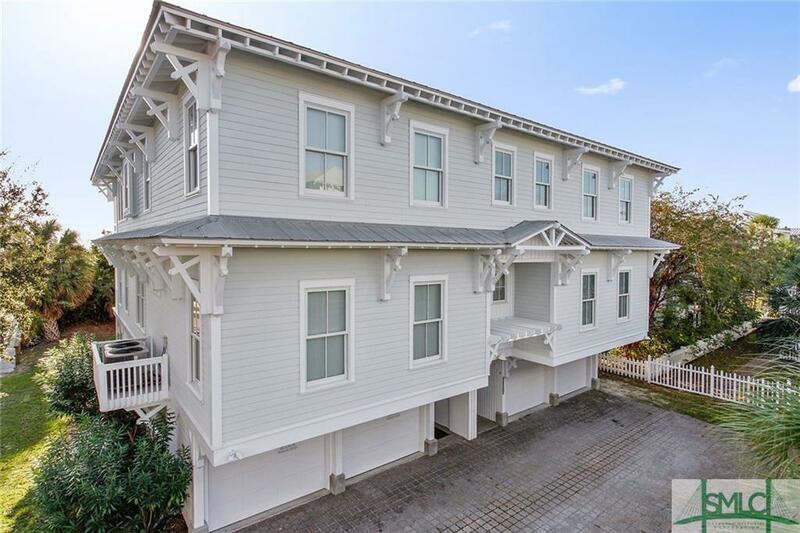 With floor-to-ceiling sash windows, coffered ceilings, romantic gas fireplaces and porch lights, 2 bedrooms on the bottom floor that can easily be used as a media room and study, and high attention to detail, this townhome is sure to please. 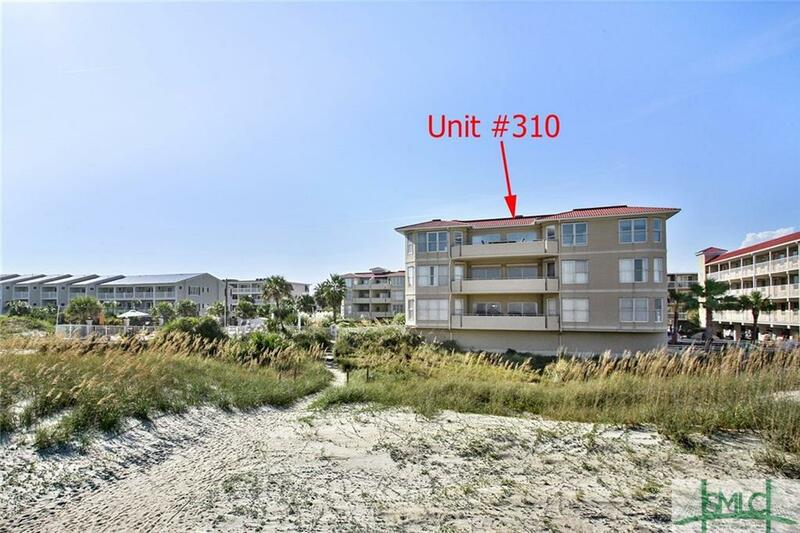 CAN BE SOLD SEPARATELY OR TOGETHER WITH 407, as an inn with endless income potential for return in investment!!! 507 E. McDonough @ Crawford Square (c. 1858). 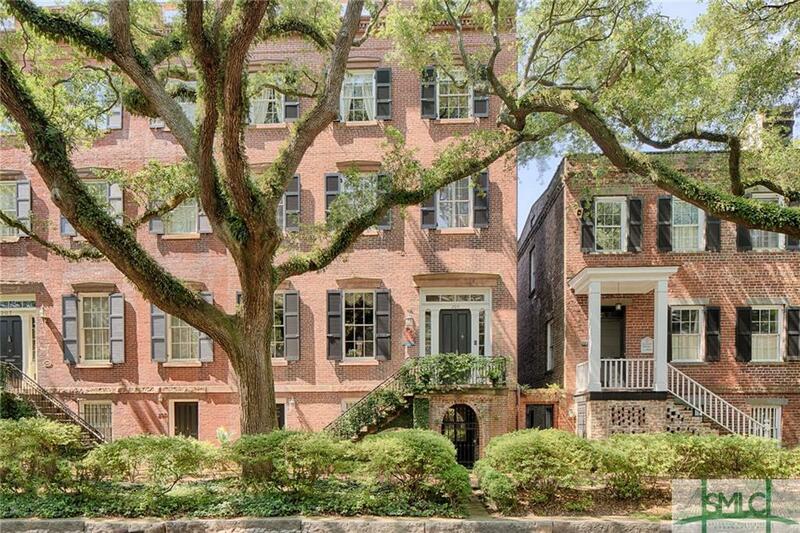 Classic Savannah rowhouse in the heart of the Landmark Historic District featuring an exemplar turnkey restoration. 1 -+ years in the making - Chic - Modern - Exceptionally styled. 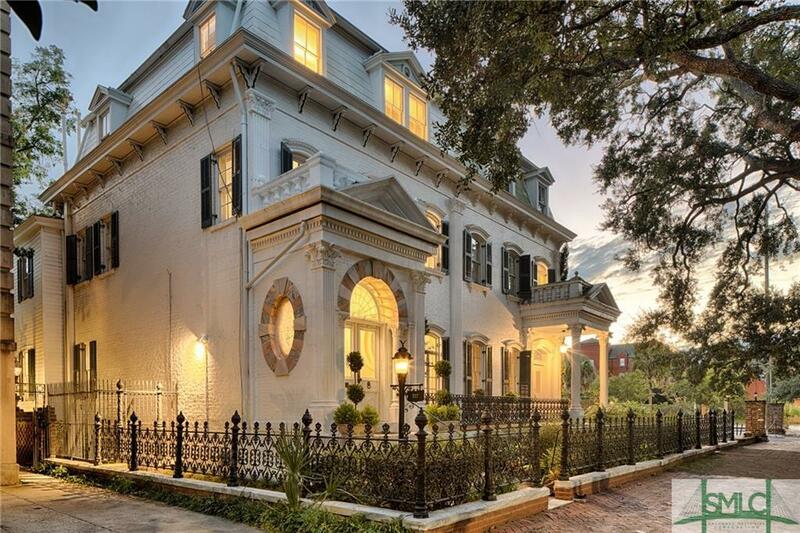 Thoughtfully restored from the 'studs up', this home offers a level of sophistication seldom found in Savannah. 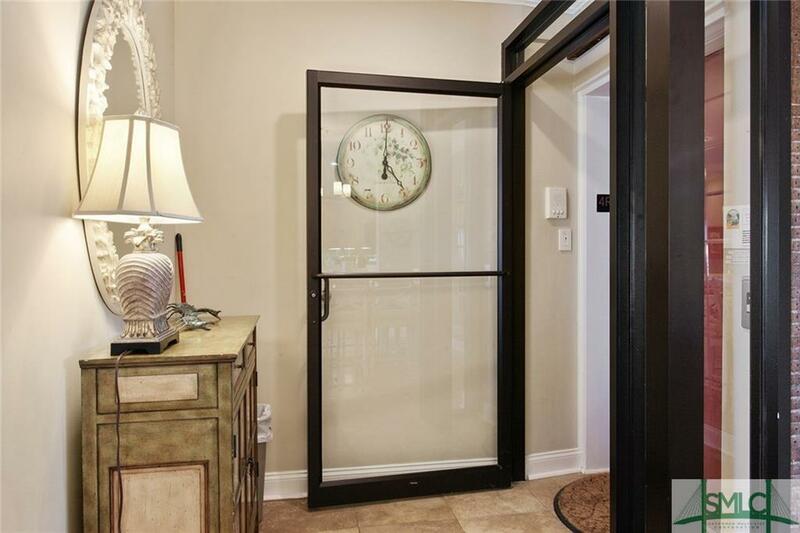 A rare attention to detail - European fixtures, superb light, open floor plan, immaculate floors. 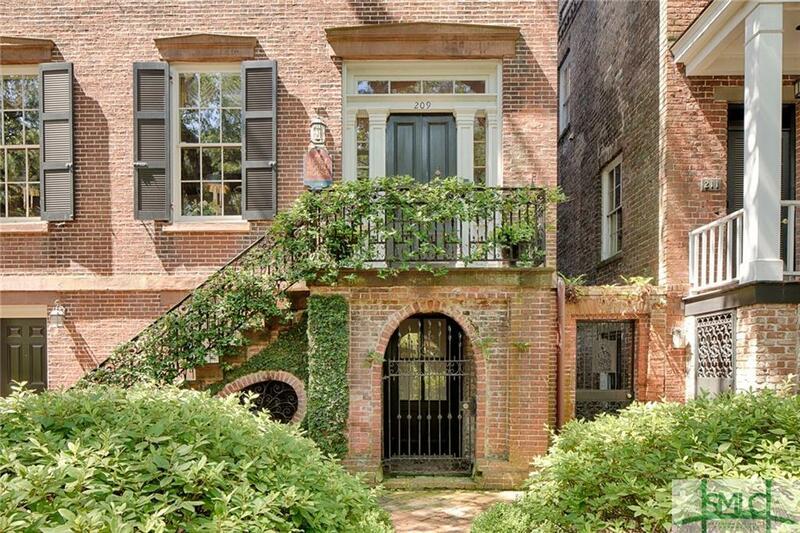 Superbly restored Garden Lvl Apartment/ Guest quarters. 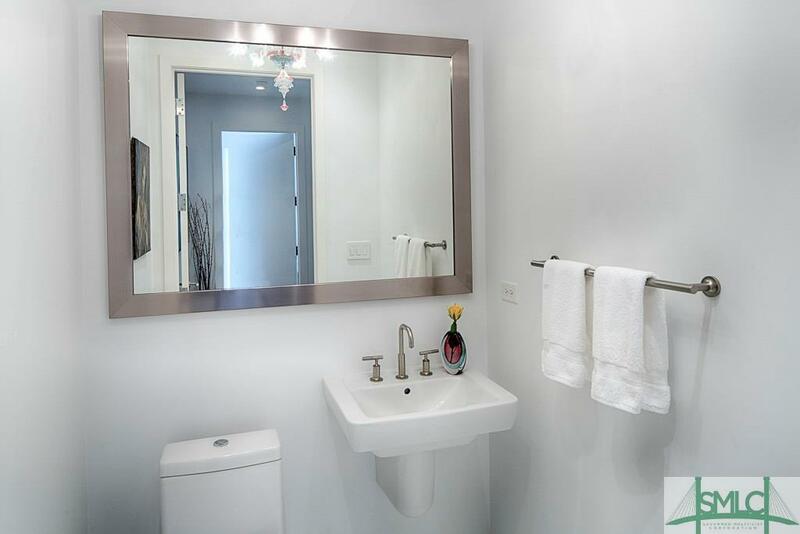 New plumbing, elec, HVACs, tankless water, wood burning FPL. An exceptional Master Suite floor! 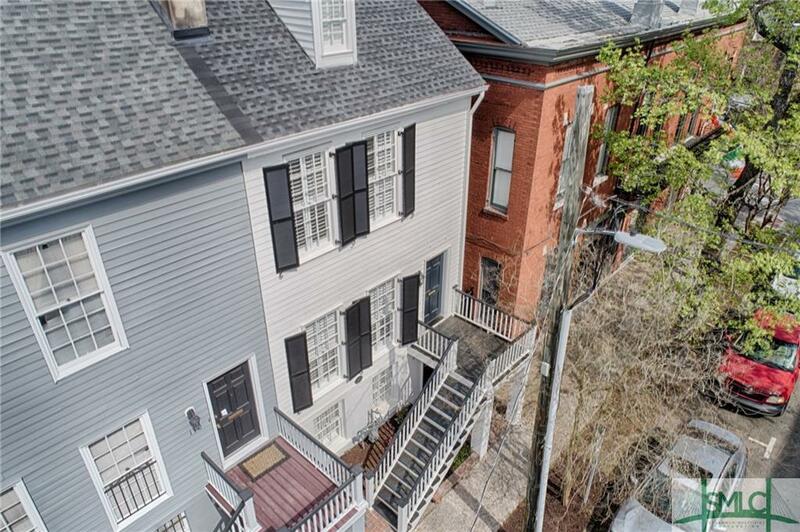 All just steps from Crawford Square with private Courtyard and back deck. 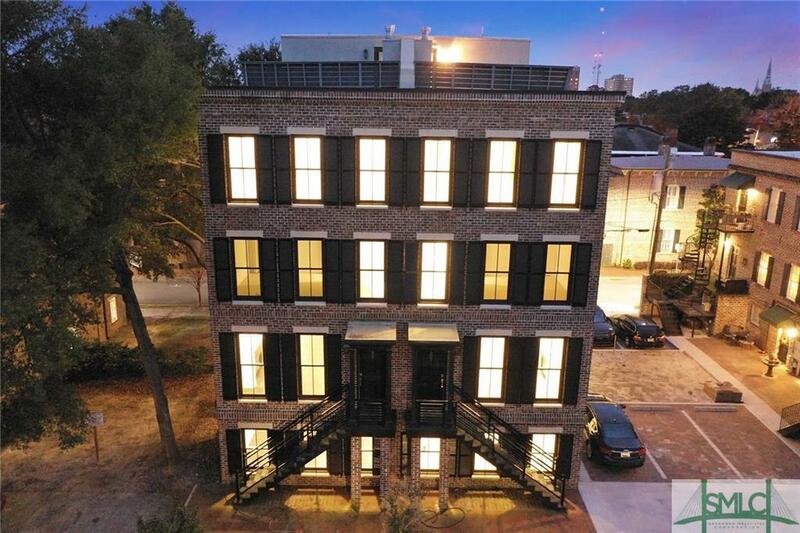 A++ renovation in the heart of SavannahGÇÖs Downtown Design District.Live & work in style in this 3-bedroom, 2.5-bath 1899 townhome,with 450 square feet of prime commercial space with high-rent potential.Private courtyard and wrought iron balcony overlooking Whitaker Street.Exposed brick walls, restored double-hung windows, original heart pine floors and expertly restored architectural details make this home a true find. The first floor sports a fully-equipped kitchen with high-end, stainless steel appliances, including a professional-grade gas stove, as well as custom cabinets and hand-glazed tile backsplashes.The second floor features a stunning master suite with a cozy fireplace, handsome transom windows and an oversized walk-in closet.The master bath offers a soaking tub, granite-topped countertops and a glass shower with stone and Spanish porcelain tile.A floating staircase, crafted from salvaged wood, leads to the expanded third floor with 2 bedrooms, a spacious bath and skylights. 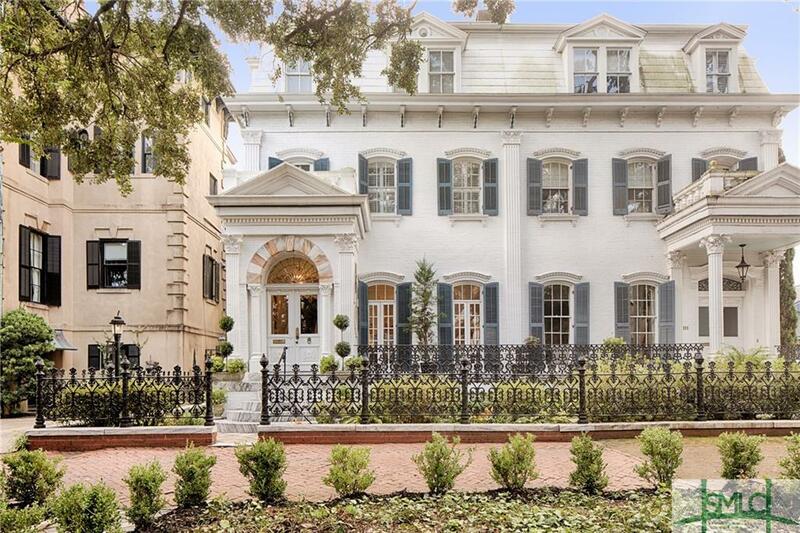 Built in 1872-áfor George W. Saussy, this Second Empire mansion features-áintricate exterior ironwork and-áan-áeclectic combination of motifs. High ceilings soar above an interior in great move-in condition. On the first floor, an elegant living room and dining room lead to an over-sized granite and stainless steel kitchen, which would be any chefGÇÖs dream. Sporting three stories, with heart pine floors throughout, there are four spacious bedrooms,-áincluding a sitting room and room of closets off the master bedroom, and two and a half bathrooms. There is also a GÇÿtrunkGÇÖ room which provides ample flexibility for a home office and more. One cannot help but linger outdoors in the plush courtyard adorned with both native species and exotic plants. The courtyardGÇÖs circular design has a central raised brick bed anchoring the space and a wide range of shrubs, trees and bushes that blossom year-round. A detached garage provides off-street parking for one car as well as a large storage area. 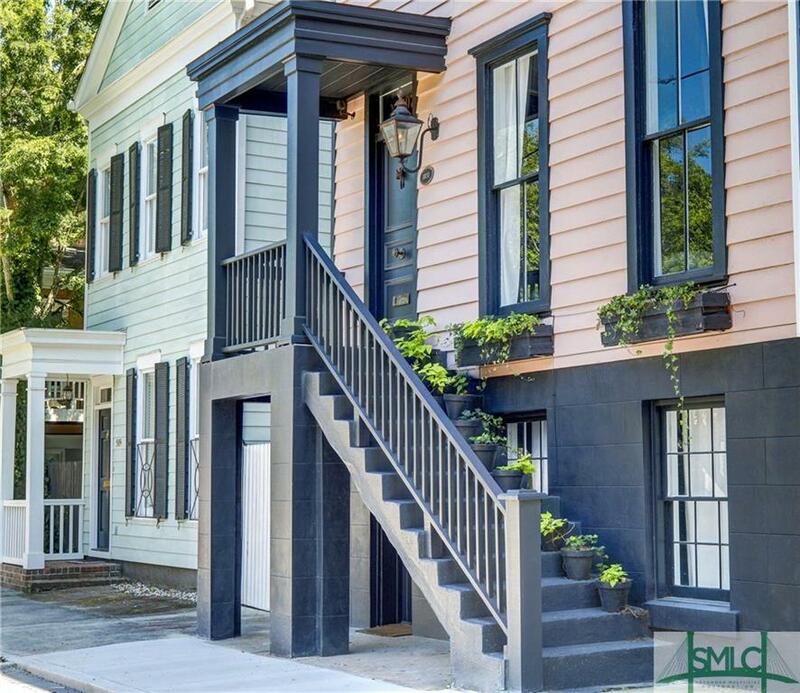 $50,000 price reduction on this charming updated antebellum townhouse located in the Crawford Ward section of Savannah's Historic District. 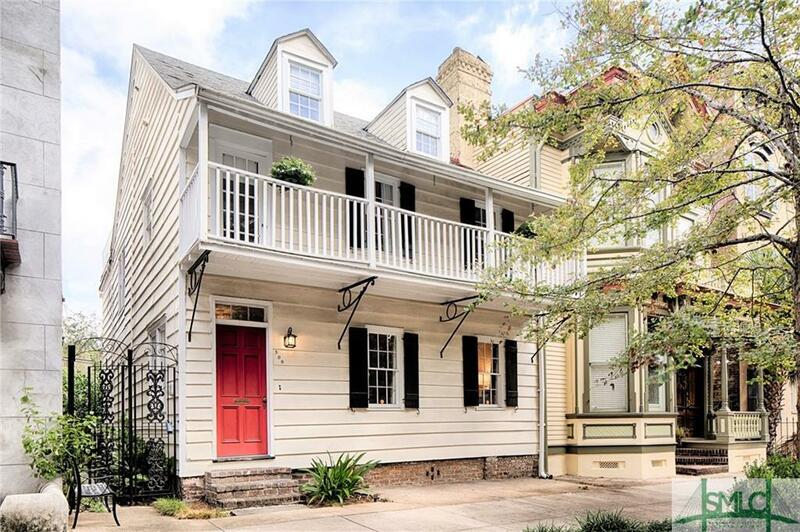 At $282 per foot, it is easily one of the best values downtown! 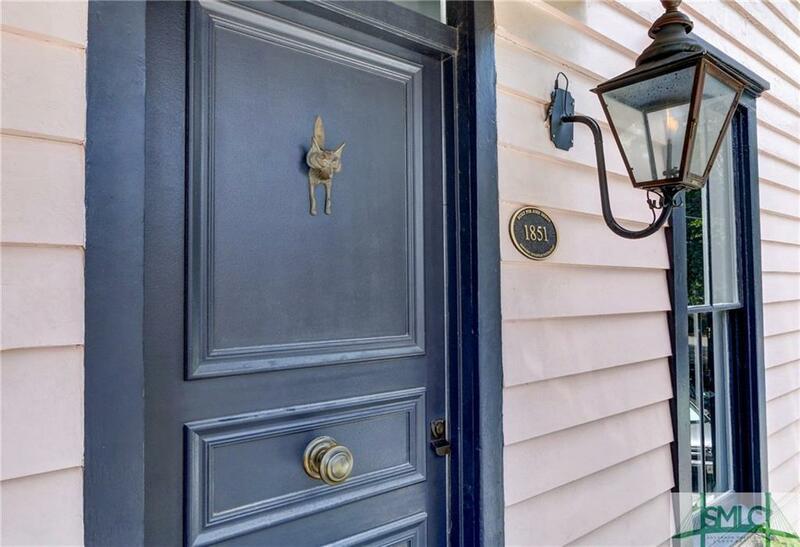 Built in 1850 for Ms. Harriet Dennis, this spacious residence offers a large carriage house with courtyard and the possibility of an off street parking space. The main house has 3 bedrooms, 2 full baths and 2 half baths. 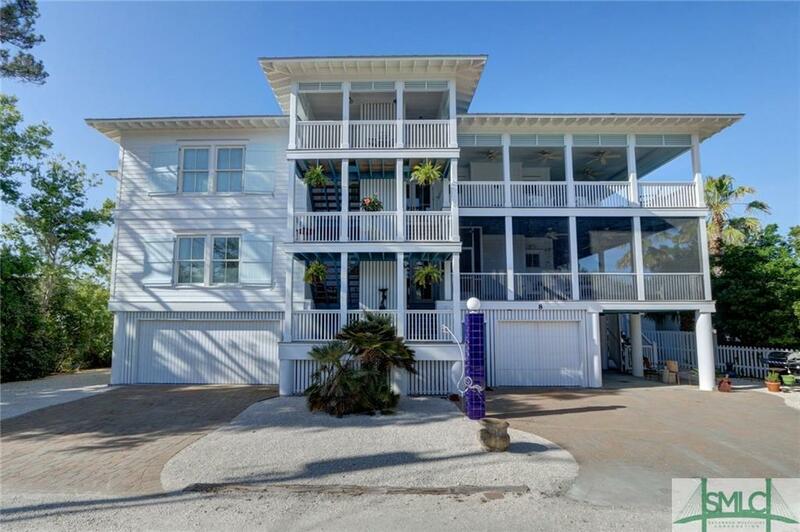 The garden level offers living room and separate dining room with an open floor plan kitchen, two bedrooms and two baths occupy the first floor and the second floor has a large bedroom loft with a large balcony. The carriage home has a large bedroom, living room, full kitchen and bath with ample closet space. Please look at my attached documents for a recent Prism Inspection and recent appraisal. 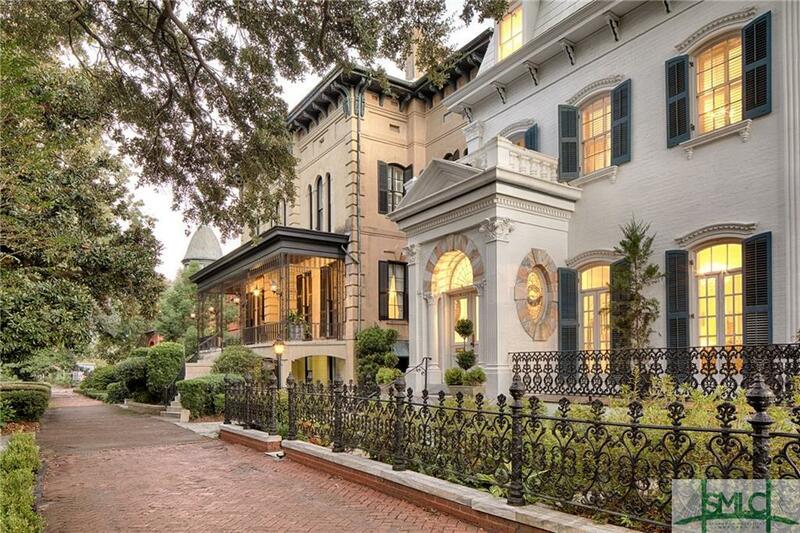 c.1850 Restored & elegantly renovated in the heart of the Landmark District. 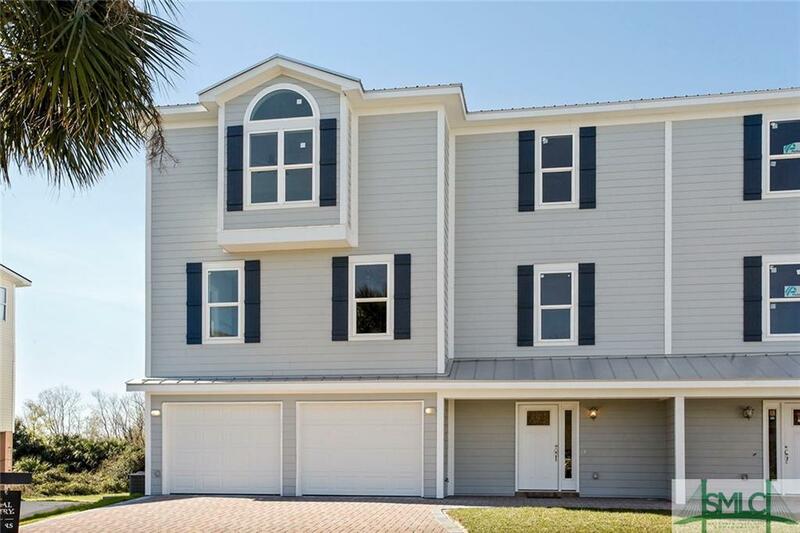 Walk in to find a bright, open concept floor plan combining modern, high end finishes and fixtures. The kitchen is truly the heart of this home with a large center island & high grade professional appliances. 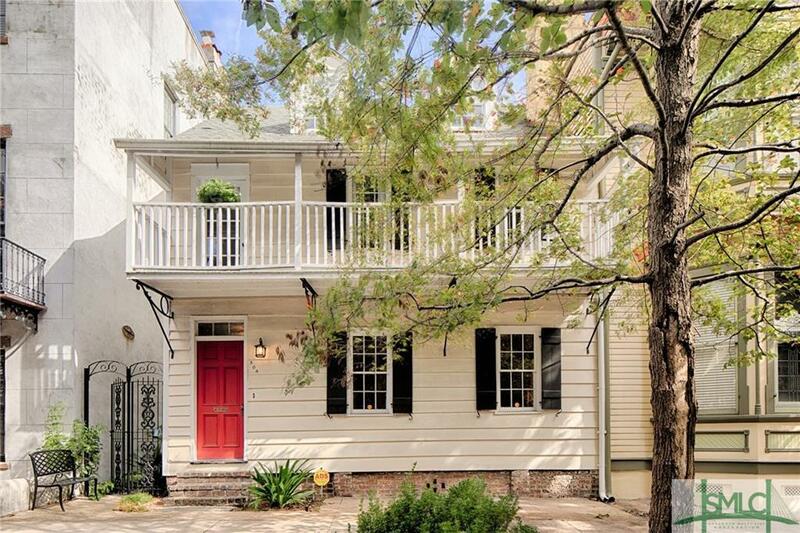 Original charm has been retained with gleaming heart of pine floors & original decorative fireplaces. 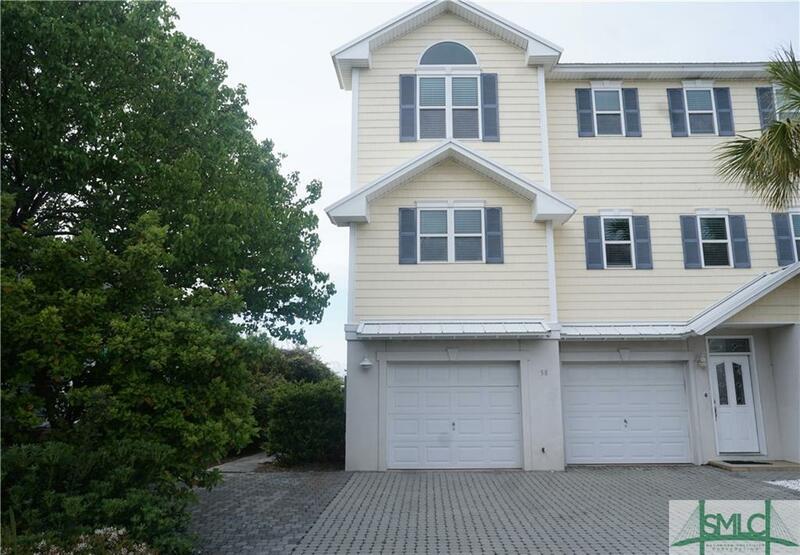 The main portion of the home features 3 bed /2.5 bath over 3 floors. Stunning & bright master suite on second floor. A large rooftop deck is perfect for sunning or hosting your next cocktail party. 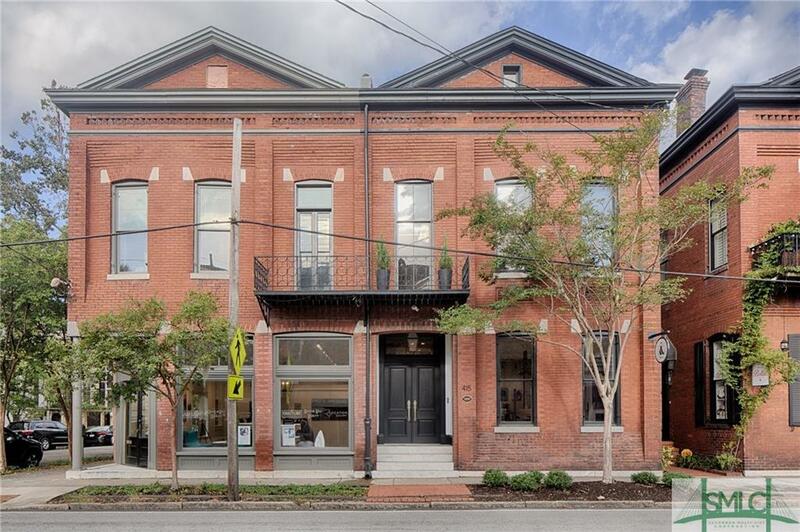 The bright garden level, also with open concept floor plan, features beautiful high quality finishes, charm of exposed brick & fireplace, plus two bed/1bath and laundry. 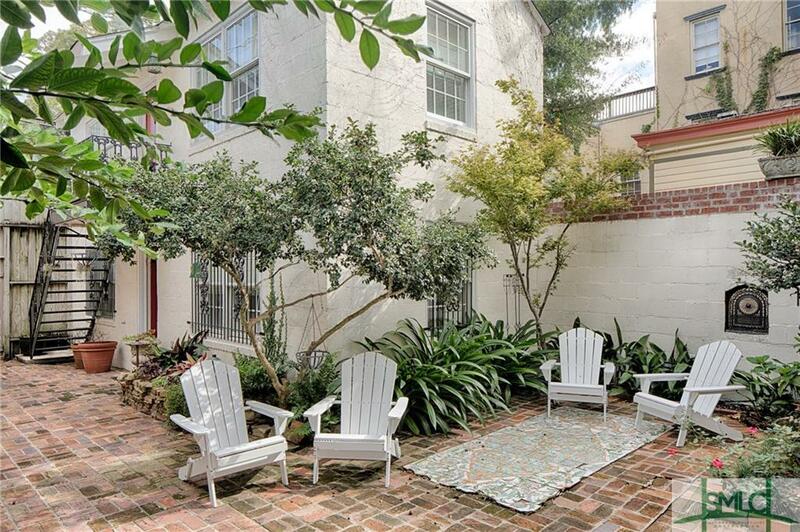 A sunny courtyard is accessed from the main house off a spacious deck. 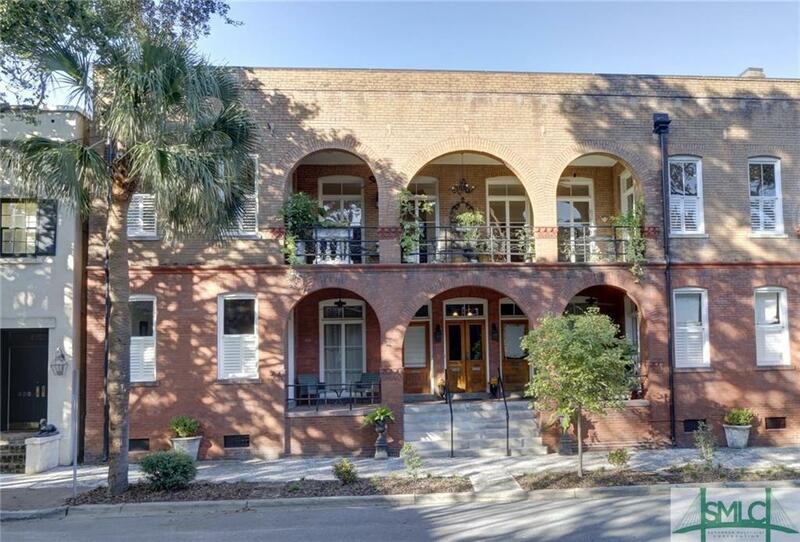 Two parking spots finish the perfection of this home which is near Forsyth Park, shops restaurants and SavannahGÇÖs fun activities. Click reel for 3-d video. 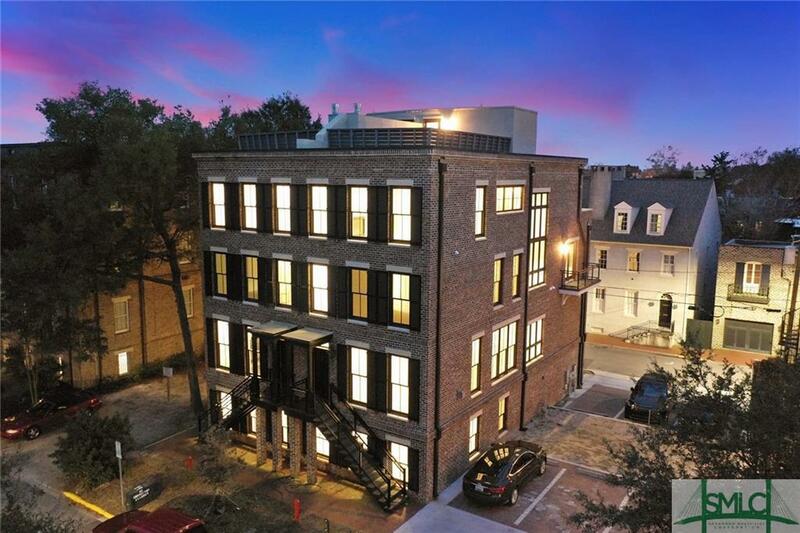 Beautiful new townhouse. Construction well under way. 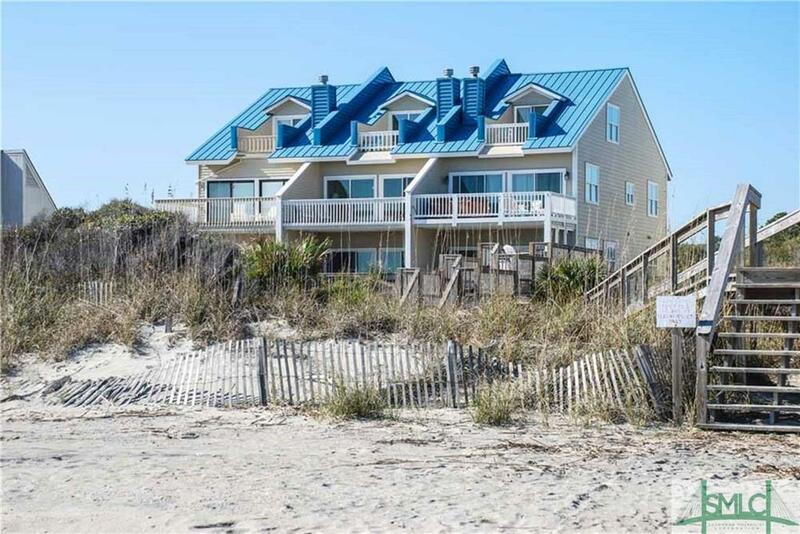 5 Bedroom 4.5 baths, elevator, hardwood, granite, metal roof, Hardiplank siding, next to private beach crosswalk. Bead board foyer and up stairways and hallways. Magnificent views of ocean, Fort Pulaski, Cockspur, Hilton Head and shipping channel. Come watch the ships from your private porch. Perfect location for this spacious town home. 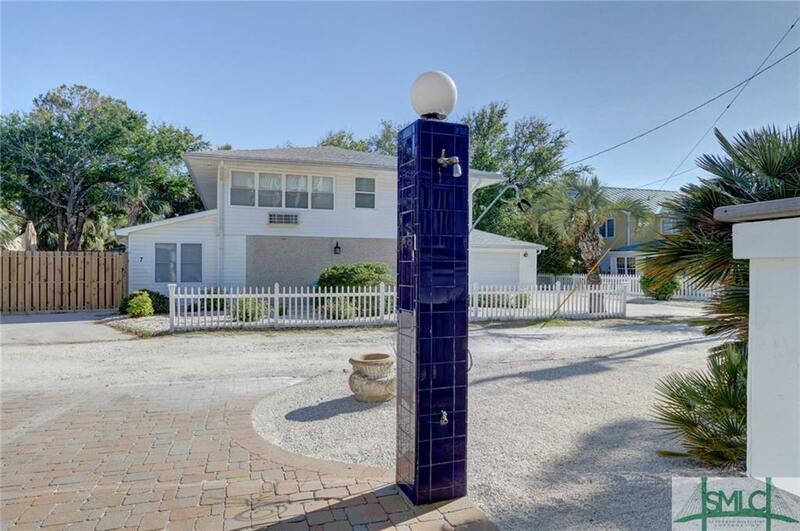 Oceanfront, private beach access, private courtyard. A great rental, being sold furnished. Steps to Tybee theater, located in historic Fort Screven, short walk to Tybee Lighthouse- beautiful ocean views from decks. 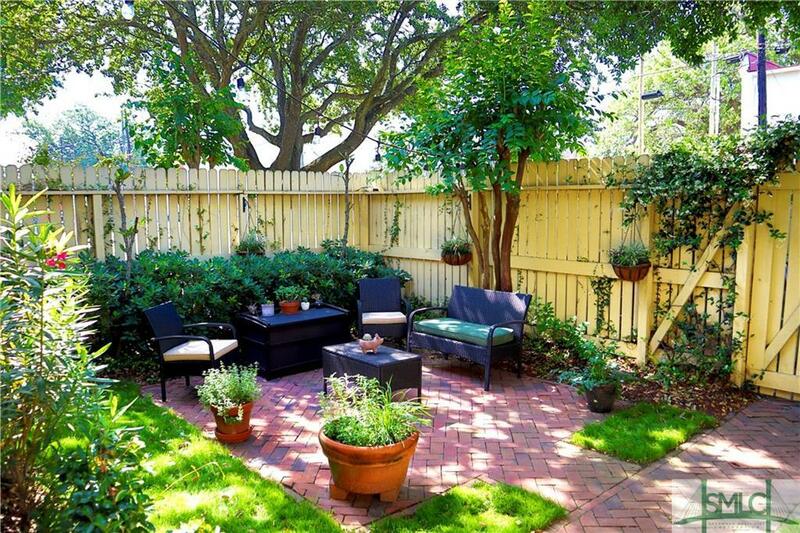 Sit back and relax on your expansive veranda as you enjoy the charming view of Charlton Street. 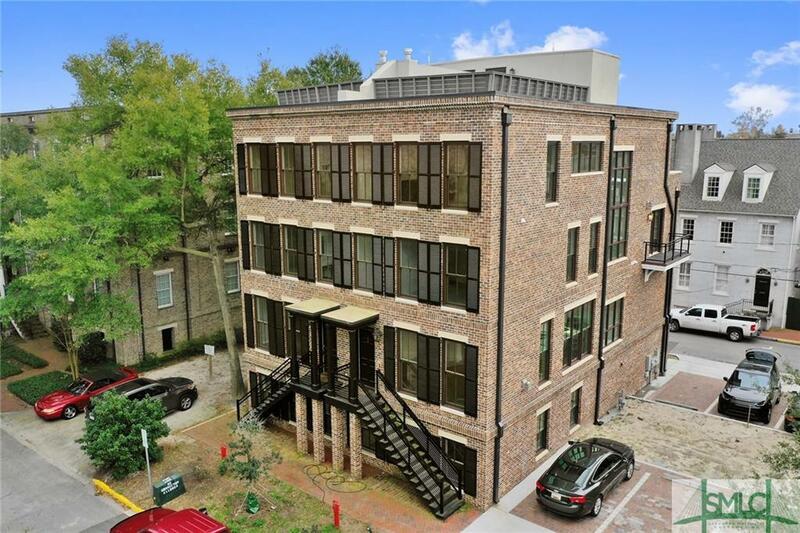 Steps to Troup Square, local restaurants and shops, this condo is located in a beautiful location of the Landmark Historic District. 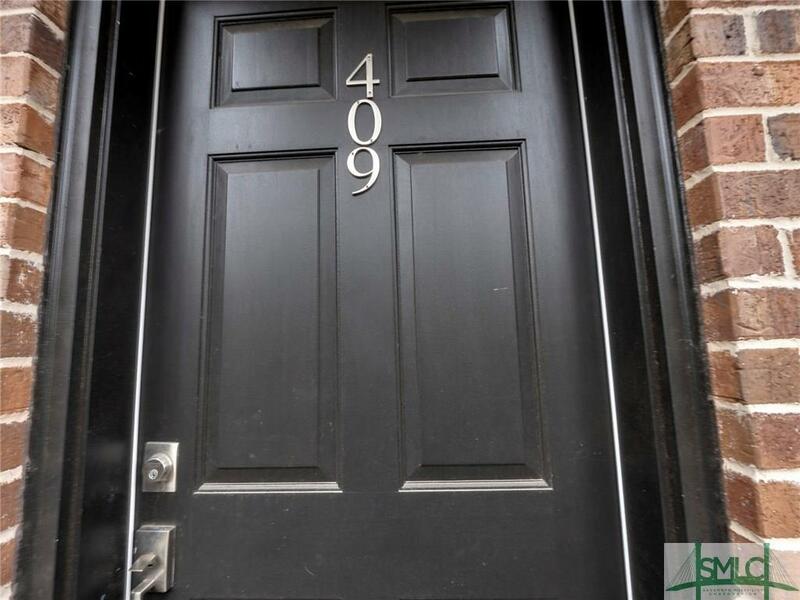 The recently renovated home, was once two units, and now is one grand condo that allows over 3000 square feet of living space on a single floor. 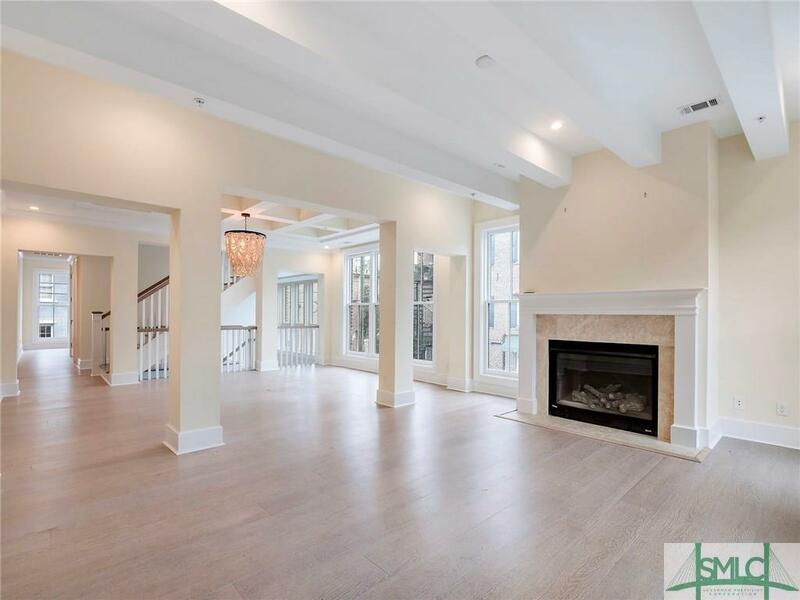 The condo has its own private two story entrance, a split floor plan, multiple sitting areas, a spacious kitchen, four updated baths, two spacious guest bedrooms, dining room, library, and much more. The master suite is breathtaking with its own balcony, grand walk in closet and dressing room, and a private bath. If the front veranda and master suite balcony are not enough outdoor space for you, then you must see the rooftop area that can be accessed through the condoGÇÖs private crowGÇÖs nest allowing you to enjoy the beautiful cityscape of Savannah. 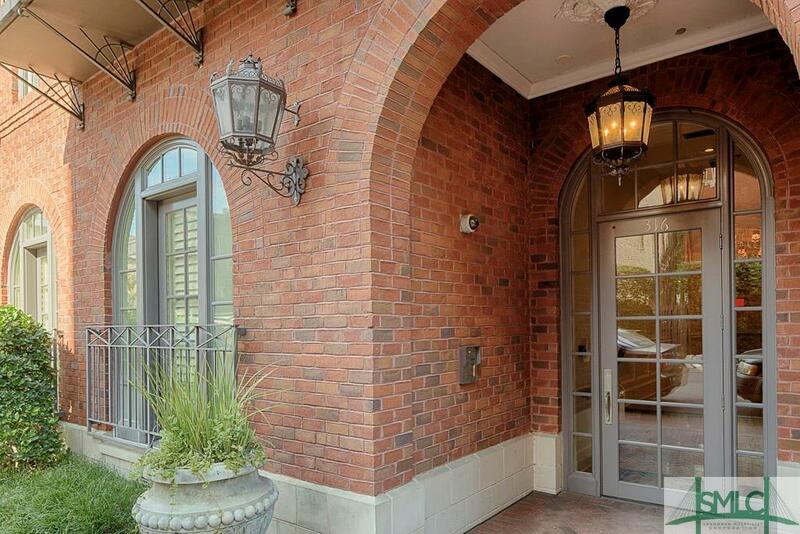 This exquisite condo is truly one of a kind. 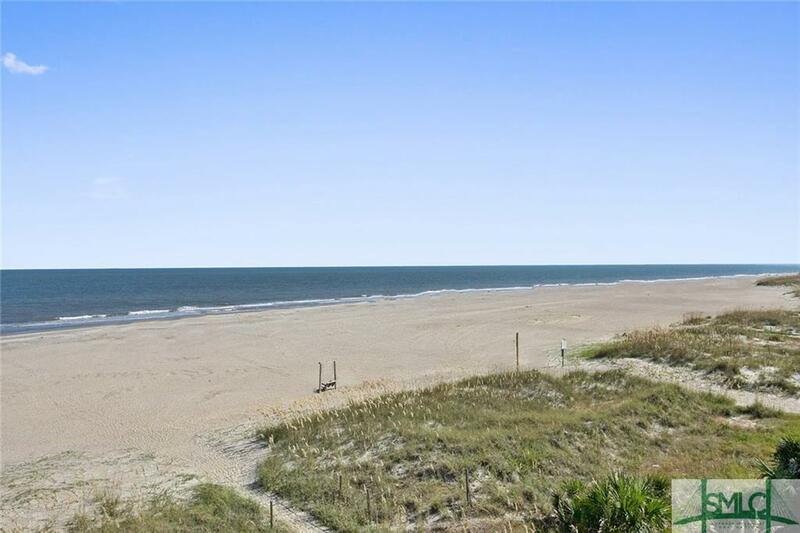 Great Oceanfront town home with beautiful views of Shipping channel, Fort Pulaski, Cockspur Island. Gorgeous sunsets. Proven rental history. Pool, elevator and game room. Sold furnished. 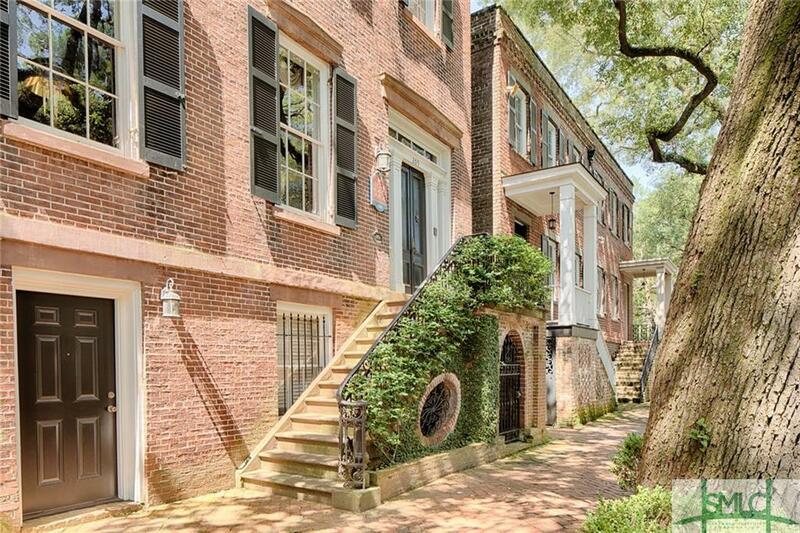 Historic Savannah townhome, in a fabulous downtown location, walking distance to dining, shopping, theatres, museums, river and park. 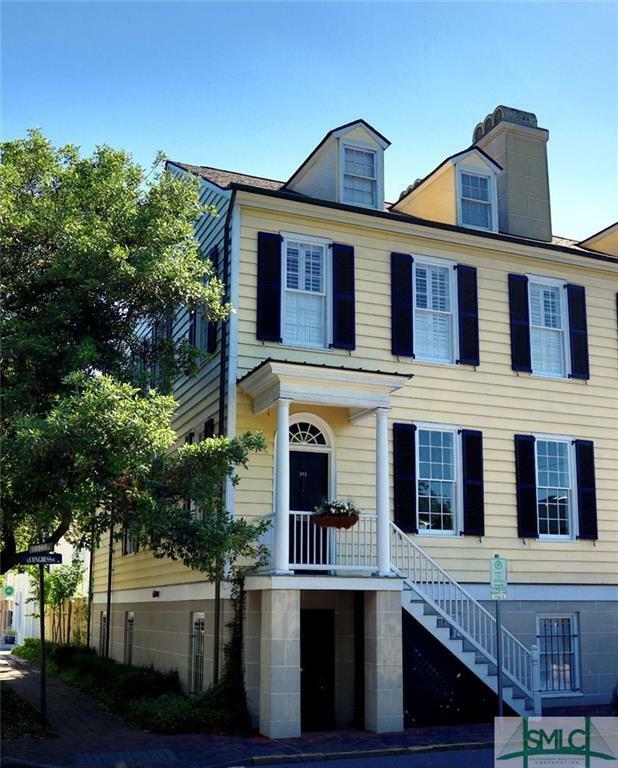 Located on corner of Congress and Habersham, on Warren Square, this newer construction with historic design home was built by Mills B. Lane IV's Beehive Foundation in 1997-98. Amazing heart pine floors, open floor plan with beautiful granite countertops, stainless appliances, gas stove, two sinks, and grill right outside on porch. Both dining rm & Living rm have fireplaces. Lovely staircase leads to second level with 2 bedrooms, each with private baths, double closets, tub/showers and hallway laundry. Finished 3rd level is 4th bedroom/office. 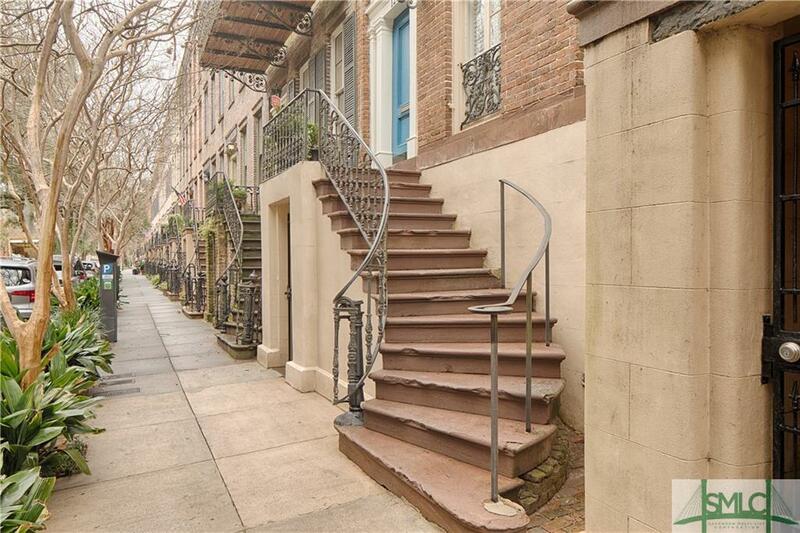 Garden level apt is beautifully appointed & features 1 bed, 1 bath w/ stainless appliances, butcher's block counters in kitchen, herringbone pattern brick floors, fireplace in living room, private entry from street or private courtyard, or from interior staircase from parlor floor. 3 off street parking spaces !